We understand that most independent ventures cannot bear the cost of a full-time bookkeeper but rather still need the know-how on occasion. Our bookkeeping services include Monthly Operating Statements, Bank Reconciliations, Payroll, Audit Trails, Balance SHeet, Financial Graphs and Budgets. These statements show where you stand so you can act on a problem or seize an opportunity before it's too late. Consistently we look at your budgetary picture so we can caution you to those territories that need your attention. Watching your bottom line can often help improve it. We confirm your bank balance each month and inform you of any bank charges, bank errors, or arithmetic mistakes so you know exactly how much money is accessible for spending. 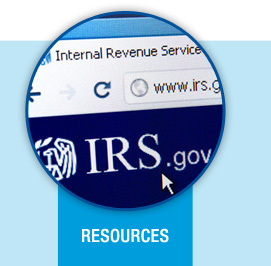 These records on each and every employee are required by law and help us to file your payroll tax returns. A record of transactions is printed out for you if there should be an occurrence of an audit. The format is organized so you can utilize it to comprehend in further detail how the dollars meet up on your operating statement. Shows cash balances, accounts receivable, taxes owed, and so forth. This is especially valuable to your banker when he is attempting to settle on a choice about a loan. They help you understand, at a glance, financial data such as monthly sales trends, expenses, profits, and so on. We can help you draw up a plan of action for the year. Throughout the year we can track the progress you're making toward your goals. The best time to spare cash on your expenses is four to sixteen months before they are expected, and this requires master planning. We give one-on-one pro-active insight to meet your one of a kind individual and business needs. The typical client benefits the most from expert tax advice in: Year-end strategic planning to help minimize your tax liability; Effective and timely structuring of your personal and business transactions; Executive compensation planning; Money-saving self-employment and payroll strategies; Successful retirement and estate planning. Including start-up, expansion, and sale of a business, numerous imperative choices and money related responsibilites are included in beginning another business or closing an old one. The tax consequences can be dramatic without attentive thought and planning. 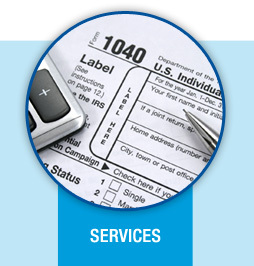 As an esteemed client we will be accessible to you in handling the IRS and other taxing authorities. We will represent you and assist you in preparing for audits and appeals conferences. We also provide experienced counseling on technical tax issues, penalty assessments, and negotiations to resolve payment of tax deficiencies. As personal financial planning advisors, we help entrepreneurs make the right financial planning decisions by analyzing their overall financial and tax situations, helping them devise estate plans and plans for retirement, and assisting them in risk management, insurance planning, and developing investment philosophy, in addition to other things. The firm has considerable experience in the area of Not-For-Profit organizations including filing for exempt status, meeting Federal reporting guidelines, developing and implementing fund accounting systems, and creation and use of budgets. Establishing short-term and long-term goals and effective methods of achieving them is essential to successful business management. Our Firm can help you in building up a comprehensive strategy for success that will help you distinguish and accomplish your objectives. Our most fundamental objective is to help you and your organization in increasing after-tax profitability. The close working relationship we share with our clients gives us a better understanding of their overall financial goals. We offer a wide array of valuable consulting services including: cash management, risk management (insurance), financing, business valuation, compensation and benefit plans, health care, compliance with government regulations, and litigation support. Our Firm can provide valuable assistance in establishing, maintaining or expanding current banking relationships. We help you to professionally organize and prepare your vital banking proposal. At the point when more in depth financials are required, for instance, for a grant or a substantial credit, we can offer assistance. 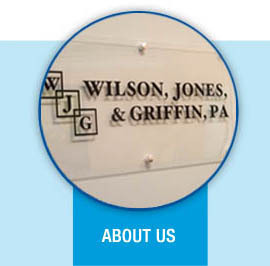 We provide expert, objective analysis and assistance to clients involved in business and civil litigation. To address the issues of clients and business partners for timely business information, we supply an assortment of customized research services. 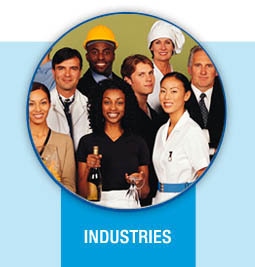 Business analyses, industry forecasts, company profiles are examples of just some the information resources available.